As a part of Hunter's SIMPLEconnectT Wi-Fir collection of ceiling fans, the Apache smart home ceiling fan works with home automation applications including Amazon Alexa, Google Assistant and Appler HomeKitT. The twisting curves of the propeller-like blades harmoniously combine with the exposed hardware and exceptional finishes, and the result is something extraordinary. 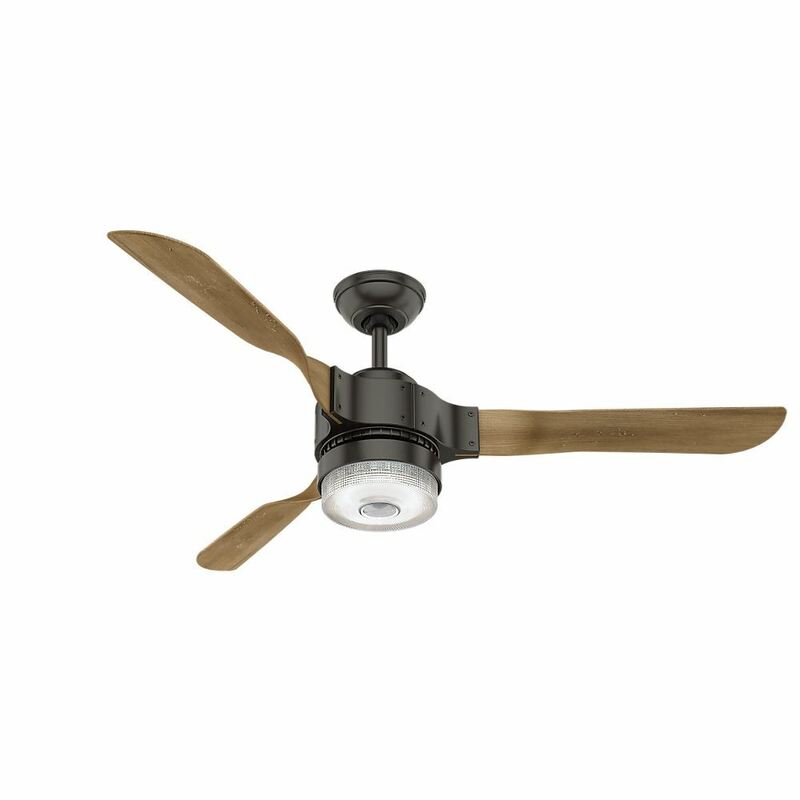 With state-of-the-art technology and a totally unique appearance, the Apache is a handsome industrial fan that's fit for your large indoor spaces.